In New Zealand and Australia, the AFL is undeniably one of the most popular sports for local punters and sports fans. The AFL provides punters with ample opportunities to place online bets throughout the year. 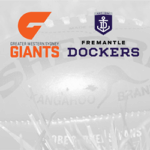 With the 2016 season firmly behind us, we take a look at the 2017 Toyota AFL premiership and what is has in store for us. The Australian Football League or AFL is the most distinguished professional Australian rules football competition in the world. The league was originally founded as the Victorian Football League playing its first season way back in 1897. The first VFL season comprised of teams based in the state of Victoria. The name was subsequently changed to the Australian Football League in 1990 when the competition expanded to include the rest of the Australian state throughout the 1980’s. The AFL consists of a total of 18 teams spread over five of Australia’s six states. Tasmania is the only state without representation. Matches are played in all of the mainland Australian territories as well as New Zealand. The 2017 Toyota AFL Premiership will be headed up by the pre-season competition before getting under way on the 23rd of March. The Premiership itself consist of a 23-round home and away season which runs from March through to September each year. The top eight teams in the competition will then go through to play in the four-round finals. 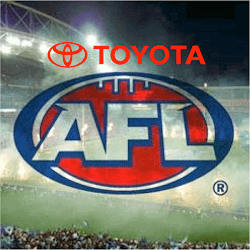 The top two teams in the playoffs then compete for the Premiership Cup for 2017 known as the Toyota AFL Finals. In 2016, the grand final was played on Saturday the 1st of October between the Western Bulldogs and the Sydney Swans. The Bulldogs went on to win the cup, defeating the Swans by 22 points. The win was only their second in 62 years, breaking the longest drought in AFL history. At the end of the 2016 season, Patrick Dangerfield picked up the Brownlow Medal best player in the league with Josh Kennedy winning the Coleman Medal as the highest goal soccer in the competition. 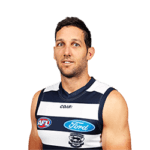 The 2017 AFL premiership will kick off on Thursday the 23rd of March with Carton taking Richmond at the Melbourne Cricket Ground. The first bye round will take place on the 1st of September between the top eight teams with the qualifying finals staring on the 7th of September. The Final will take place on the 30th of September capping off the season.